Cheeks serve an important role in maintaining the balance of the face. They are regarded as a symbol of youthful beauty and health. They are responsible for filling the middle portion of the face. With growing age, the fat pads that fill out the cheeks and enhances face plumpness, changes its position and becomes dull. At times, they flatten out and disappear. This gives a sunken appearance to an individual’s face. The whole of the face definition is changed due to the eroding of the connective or supportive tissue lying beneath the skin. Thus, a thin and flat face look is rendered. Smile lines, depressions, and wrinkles are also seen to occur on the face. A wide number of methods are used for face re-sculpting and filling out the cheeks. The cheek augmentation method, is often referred to as cheek enhancement or cheek implant method. The method tends to enhance the facial appearance, balance and harmony. The cosmetic procedure, cheek augmentation mainly emphasizes on the cheeks of a person. Injections or solid implant may be used in the augmentation procedure. The solid implant is mainly used over the cheekbone. Injections consist of patient’s own fat or soft tissue filler, like Restylane. Often, cheek augmentation is done in association with other cosmetic procedures such as a face lift or chin augmentation. A variety of materials can be used to make cheek implants. Solid silicone is most commonly employed. Cheek implants are generally available in three shapes: malar, submalar, or combined. The most common implant shape is the malar. They are directly inserted on the cheekbones. Excellent contour to the side of the face can be achieved through highly projected cheekbones. Submalar implants targets on midface augmentation. More extended implants, called combined implants or malar/submalar combination, aims to augment both the cheekbones and the midface. Similar to any other surgical process, there exist risks of postoperative bleeding, infection, severe swelling, and blood clot formation. A major risk of cheek augmentation is asymmetry. The reasons may be displacement or shifting of the implant, and uneven resorption. The factors responsible for shifting may be trauma, swelling or scarring. A temporary loss of sensation is commonly noticed. Depending upon the facial structure and surgery requirements, the cheek implant surgery cost may vary. For both men and women looking for an enhanced facial contour, cheek implant is the most recommended option. In cheek augmentation, a less invasive and less expensive approach is the injections to the cheekbones. 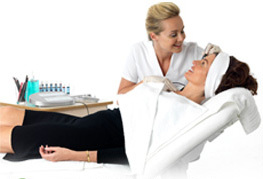 Generally, hyaluronic acid like Restylane or Juvederm is opted for injection to the cheek. Although, injection of autologous fat seems to be a more permanent option, but eventually the body reabsorbs it. The natural aging process leads to a diminished cheek volume. Injectable fillers can be used to restore the youthful facial appearance. Injections are considered to be a minimally invasive and safe procedure. Permanent cheek implants involve surgery and are best suited for only those patients who are healthy non-smokers. Sometimes, Radiesse injections into the cheeks may lead to nerve damage and blindness. Fat injections, which makes use of patient’s own fat areas, is another excellent option to be used as filler material. The ease with which it is harvested and its origin, makes it best for attaining overall facial rejuvenation.